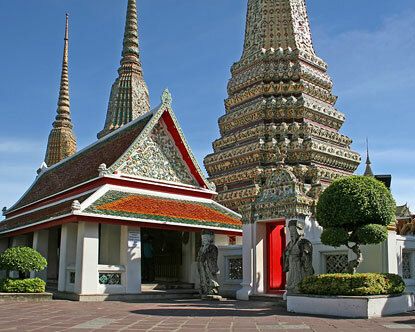 Also known as the Temple of the Reclining Buddha, Wat Pho is Bangkok’s largest temple and is definitely worth visiting when in the Thai capital. Located behind the equally famous Temple of the Emerald Buddha, this historic site is where one can view the well known statute of the reclining Buddha which is around 46 metres in length. Also of note are the 3 metre long feet of the Buddha which have been adorned with a variety of illustrations. Those making a donation towards the upkeep of the temple can receive a blessing from a monk as well. Travellers heading to the city and looking for a Bangkok luxury hotel from which to explore the capital can stay at Metropolitan Bangkok. This luxury Bangkok hotel offers a wealth of facilities and the very best in modern comforts and conveniences.